As of today, YofX has officially migrated to its new home: www.yofx.org. This site will remain up for archival purposes, but all new YofX posts will take place at the above address. Also, if you are following this via RSS, you can subscribe to the new feed here. Thanks for following and I hope to see you over at the new site. I don't get too many complaints about the uselessness of negative numbers, but every once in a while in a Prealgebra class somebody will claim that they're never used in the real world. Above is the photographic evidence from within an elevator in Nikola Tesla Airport (Belgrade, Serbia) that negative integers are indeed used. 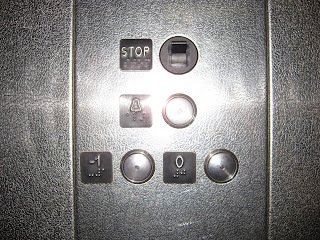 And if one is ever in such an elevator, one surely thinks fondly (for once) of their math teacher. For how else would we know where to go? **This is the last real post to this site. Next week yofx officially moves to a new home: www.yofx.org. This site will remain up as an archive for us to refer back to. Lee tipped me off on a great Facebook time-waster: the Which Mathematical Function Are You quiz. You've done plenty of these viral quizzes before, but none so squarely centered on your geek heart. They ask you the standard personality questions. Sometimes the selections are worth a few giggles. Then they determine which mathematical function best fits your personality. 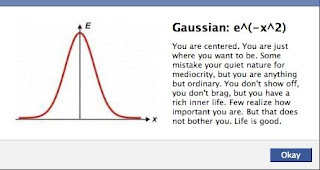 I am apparently Gaussian. Lee is apparently the Riemann zeta-function. Mystery and wonder are your "prime" delights in life. You seek to apprehend all the hidden, complex patterns in the universe. Some think you are quirky, but they just don't understand you: they have not learned to think outside the box, as you have. You are a misunderstood genius. I'm curious how many functions the quiz outputs. Let me know what you got in the comments. 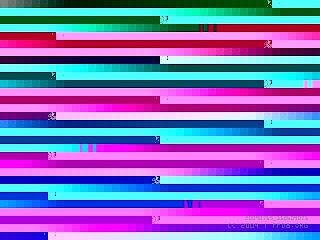 text2image is a fun (and probably totally useless) way to transform any text into an image. Above, you are seeing the visual rendering of 'yofx'. 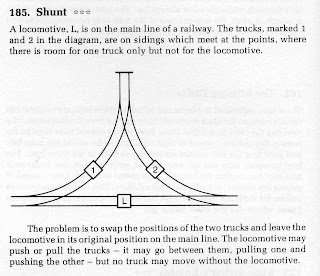 I was thinking that this might be an interesting way for students to conceptualize a function. I hate to say it, but sometimes real-valued functions get boring. Another plus is that we don't actually know how the text gets transformed. Discovering properties of the function by playing around could make for an interesting exercise for students. Is it one-to-one, does an all-caps text string map the same as a lowercase string, what does the domain look like, is there a character limit, are all questions students might generate. I picked this up from Information Aesthetics. Check out that post. There are also some links at the bottom to similar trans-medium mappings. I was dragged to an ABBA tribute concert last Friday night. I'm regrettably familiar with ABBA's music, Mama Mia veteran (even the sing-a-long), but it was the first time I realized the band's name is a palindrome. It is also the first time the name reminded me of a rhyme scheme. (Two revelations, one night.) What is the real origin of the name? 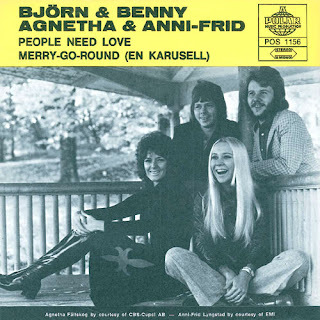 According the Wpedia, it's an acronym for the first names of the bandmembers: Agnetha, Björn, Benny, Anni-Frid. I know, you'll never hear Dancing Queen quite the same way again. Anyway, let me know if you can think of any other palindromic bands. Help! This one's killing me. 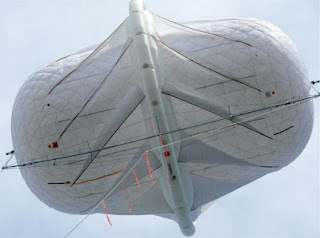 Wind’s power — energy which can be used to do work like spinning magnets to generate electricity — varies with the cube of its speed. I wonder how many of the students I tortured with variation would remember what it means if they read this article? Those are the questions that keep a math teacher up at night. BTW, if you're teaching variation. I've always found that students like knowing the world's most famous equation e=mc^2 is a direct variation equation.